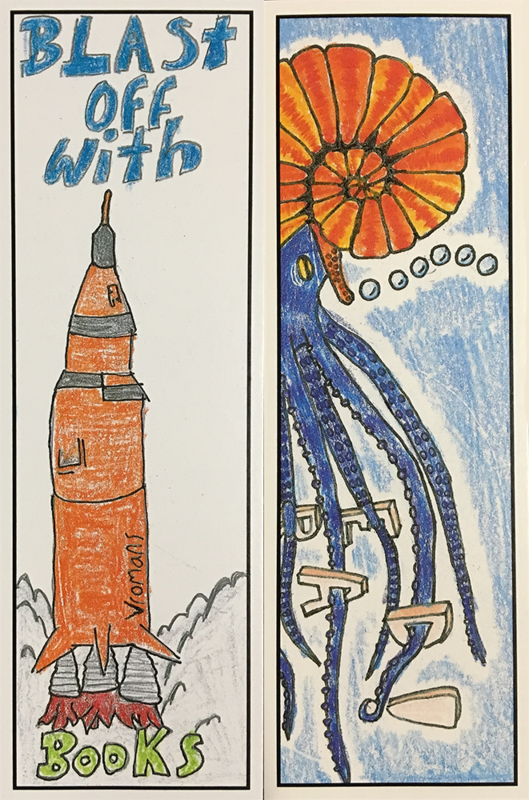 Vroman’s Bookstore’s Annual BOOKMARK CONTEST 2019! Thank you to those who entered. The contest has concluded. Congratulations to the winners Alan Liao and Haydn Schlinger! The winning designs are now available in our Children's Department!